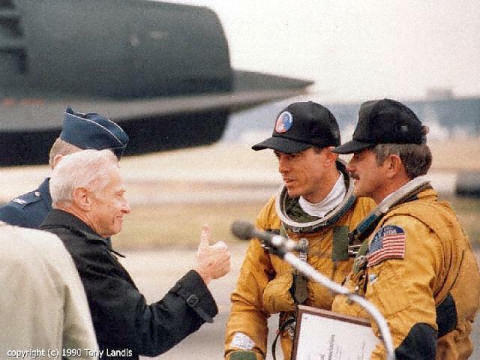 SR-71 #972 Record Flight to Washington D.C.
to Dulles Field, Washington D.C.
Lockheed's Ben Rich gives a thumbs up to Col's Ed Yeilding and J.T. Vida on their historic final flight to the Smithsonian. 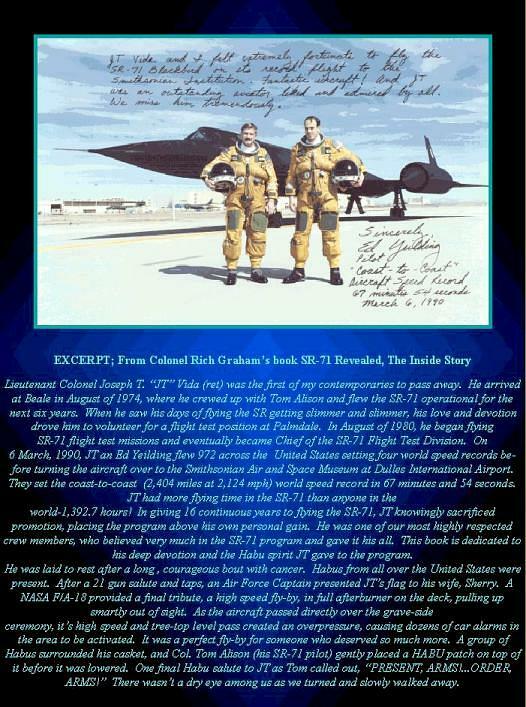 SR-71 #972 was officially retired from the United States Air Force on 6 March 1990. 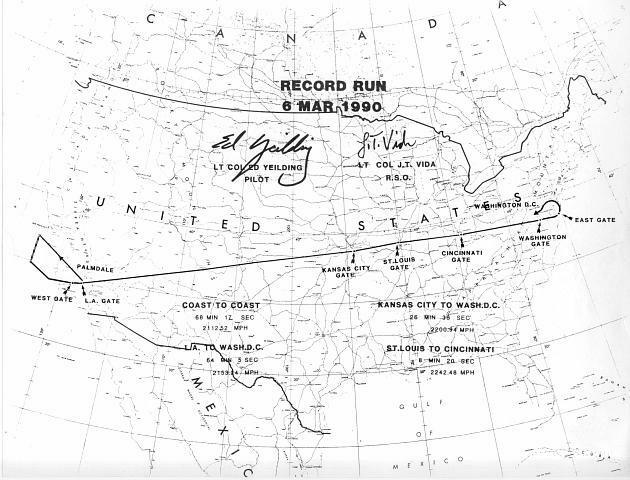 She flew across the USA setting four speed records and landed at Dulles Field in Washington D.C. The aircraft is currently in storage awaiting restoration and final display at the Dulles Field Museum scheduled to open in 2003. Pilot, Lt. Col. Ed Yeilding and RSO, Lt. Col. J.T. Vida were the crewmembers on this historic flight. 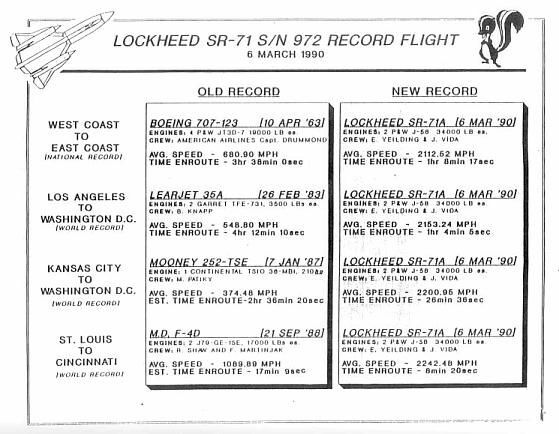 The following chart "New Record" data is not correct but is included on this web page to reflect the old records previously held prior to the SR-71 flight of 06 March 1990. 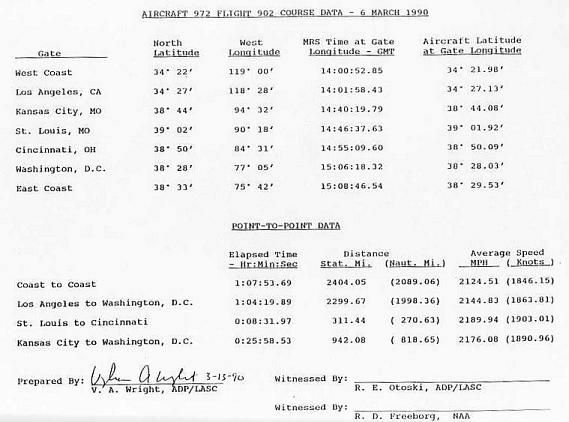 This chart was released prior to confirmation of exact times/distances/speed as an unofficial aid to news reporters. The accurate and correct "New Record" data is on Chart #3 below and signed by V.A. 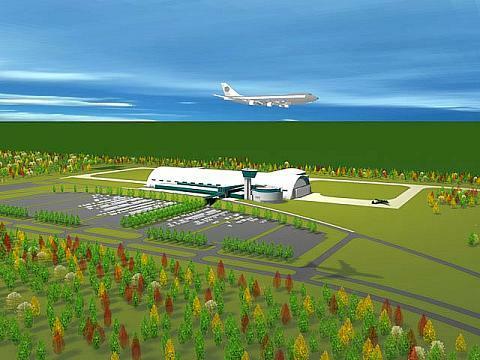 Wright, Lockheed Advanced Development Corporation, dated April 15, 1990.